Although most people were keen to go along with the walking picture experience, and others didn’t know the photo had even been taken, some families just stopped and let the cameraman take a static portrait. And as long as he was getting a sale out of it he was happy to oblige. Yet while there is an element of of preparedness about the result, because of how and where they were taken, these static postcard portraits still have many of the naturalistic qualities of the walkies compared to studio photos. The image above is a good example, and is of Ivy Holloway’s older sister, husband and daughter Betty. It is thought to be Margate, the auto number is typical of many Margate walkies, but it might be Great Yarmouth where the family often took their holidays. It was taken around 1938 and sent by Elizabeth Woodfield. 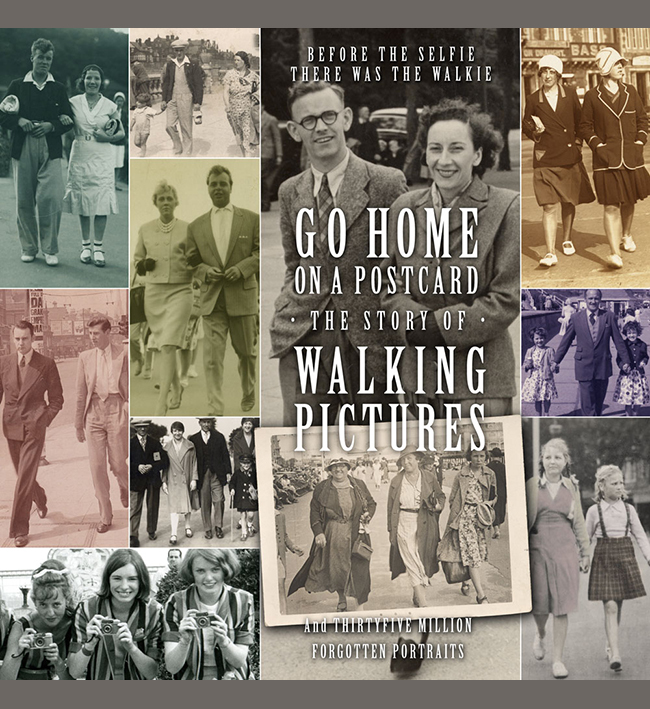 Some of her walking pictures will appear in the book Go Home On A Postcard.